I don’t remember any stretch of my life longer than a few days when I didn’t have a book or three on the go. So the past several months, when little time or inclination for my favourite pastime presented itself, have been…odd. Of course there has been the inevitable emotional upheaval of a family crisis but even in the midst of all that I could sense that some portion of my general air of ‘unsettledness’ was due to a sudden absence of the escape and comfort that reading has always provided. So perhaps it’s not peculiar that the first signs I was starting to calm down and feel normal were that I was noticing books again. Like most avid readers I have a mountain of unread books tucked away around the house and on various digital devices but I found them all a bit overwhelming and so began my reading reboot on the last-in-first-read principle. Sulari Gentill’s fifth Rowly Sinclair novel arrived serendipitously on my doorstep at the beginning of the month and there couldn’t have been a better book for me to reconnect to reading with. 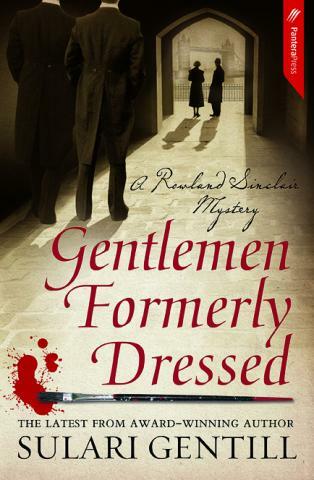 Having an afternoon to myself and a glass of pinot grigio by my side I soon lost myself in GENTLEMEN FOMERLY DRESSED which has maintained the high standards of humour, great characters and romping tales set by its predecessors. It was a joy. Next up I toddled off to the library to collect two books I’d put on hold a while ago. 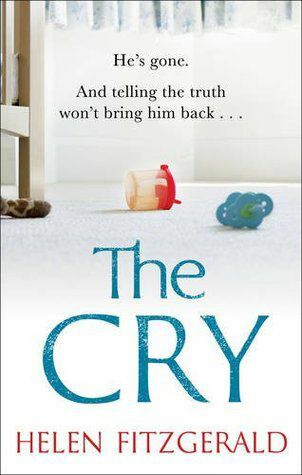 THE CRY is another top notch novel in which Australian-Scottish author Helen Fitzgerald explores what might happen to ordinary people who find themselves in horrendous but all too imaginable circumstances. 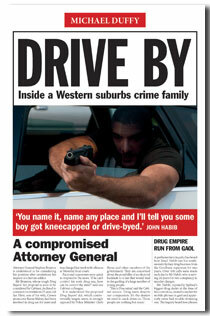 DRIVE BY is former court reporter Michael Duffy’s look at the changed nature of Sydney’s social structure over the past couple of decades, seen partly through the eyes of a member of a prominent Lebanese-Australian criminal family. Both books were confronting for different reasons but I was captivated by each one in turn. And so it seems my capacity to become lost in fictional worlds remains; a thing for which I am truly grateful. Reviews of all three novels will be posted shortly over at Fair Dinkum Crime and I’m reading something non-Australian now so will soon be reviewing again here too. Thanks to everyone for your public and private words of kind inquiry and comfort during my unexpected absence from the blogosphere. I’ve quite deliberately not discussed the details of my particular crisis here because it’s nice for me to have a space that isn’t consumed with family drama (well not my own family drama – fictional family drama is an entirely different thing) but I have appreciated your thoughts very much. The worst of the crises is over and what remains to be dealt with is much more manageable…especially if I can escape into a good book more regularly. It’s good to see you again Bernadette, and hope all is going well, or at least better. I think you mentioned the Gentill book before? book and author new to me, but sounds very intriguing, you might have sold me on that one, I’m going to look it up. Best wishes with the family stuff…. Glad you have rediscovered your reading mojo, and even gladder that there seems to be a light at the end of a tunnel, as it were! Bernadette – So happy to hear that you’ve re-connected with books. They’re a true joy for the bibliophile, and it’s good to know you’ve found them again. Good to hear also that your life is settling at least a bit. Good to see you back again Bernadette. Welcome back, I love your blog. Glad you are back and hope the crisis continues to abate. The Sulari Gentill series sounds very good but seems to be hard to find at reasonable prices here (US), even used. As I have more to read than I can handle now I will wait and see what opportunities arise. Great you’re back to the blog, and hope your family crises are solved — as least to a manageable level. There is nothing like a good book in which we can escape and be diverted into another world. What did Emily Dickinson say: There is no frigate like a book that can take us worlds away. It’s true.